Proponents of Sharia-Compliant Finance (SCF) often convey the impression that SCF is an “ethical” financial system whose roots and practice are to be found in the Quran, hadiths and traditions of early Islam. In fact, it was invented out of whole cloth in the mid-20th Century by Muslim Brotherhood figures like Sayyid Qutb and Sayyid AbulA'la Al-Mawdudi. Its purpose was to provide yet another method to penetrate and undermine non-Sharia societies by stealthily insinuating Sharia into their free markets. In the words of Muslim Brotherhood’s spiritual leader, Yousef al-Qaradawi, Sharia Compliant Finance, of which Sukkuk is a vital component, is a means to wage “jihad with money”. National Christian Elders Forum insists that Sukkuk is stealth Jihad contrary to Sections 1 and 10 of the Nigerian Constitution. Therefore, other nations may adopt it, but the Nigerian Constitution forbids such infraction in Nigeria. This is crucial in a multi-religious and multi-ethnic society like Nigeria when it is realized that the tenets of Sharia is opposed to the Constitution as “any system of man-made law is considered illicit under Islamic law, for whose adherents Allah already has provided the only law permitted, sharia”. Sharia and Democracy can never co-exist in harmony. “And if any fail to judge by the light of what Allah has revealed, they are no better than unbelievers.” (Q 5:47) “Sovereignty in Islam is the prerogative of Almighty Allah alone. He is the absolute arbiter of values and it is His will that determines good and evil, right and wrong.” (Mohammed Hashim Kamali, Principles of Islamic Jurisprudence, 3d rev. ed., (Cambridge, UK: The Islamic Text Society, 2003), 8.) “The sharia cannot be amended to conform to changing human values and standards. Rather, it is the absolute norm to which all human values and conduct must conform.” (Muslim Brotherhood ‘spiritual leader’ Yousef al-Qaradawi)” It is this tenet of Islam that makes it very difficult for constitutional development to prevail in Nigeria. The promotion of Sharia, in any of its forms, in a multi-religious and multi-ethnic society, shall produce nothing but contention and acrimony as Nigeria is currently witnessing. The allegation that CAN is Islamophobic is untenable and purely mischievous. If leaders of Islam in Nigeria have demonstrated inability to call Boko Haram and Fulani herdsmen to order, after the atrocities both terrorist organizations have committed largely against Christians, Christian Churches, Christian businesses and Christian communities, it would be unfair and unjust for the same leaders of Islam to turn around and accuse Christians of Islamophobia. It is akin to slapping a man and yet complain that the man screamed. Do leaders of Islam expect Christians to keep mute while violent Jihad (Boko Haram, Fulani herdsmen) and stealth Jihad also known as stealth jihad with money (Sukkuk) are all used to negate Section 38 (1) of the Constitution and destroy the secularity of the Nigerian State? NCEF also observed the unfortunate attempt of the NSCIA to equate Christian religion with Capitalism. There are structures and institutions developed by Capitalist states which have formed the bedrock of modern Capitalist societies. Interestingly, most of the Capitalist states are secular. It is therefore rather unfortunate that such capitalist institutions would now be labeled “Christian” and used as justification to introduce Sharia, which is based purely on Quran, Hadith and Islamic jurisprudence, into the Nigerian State. 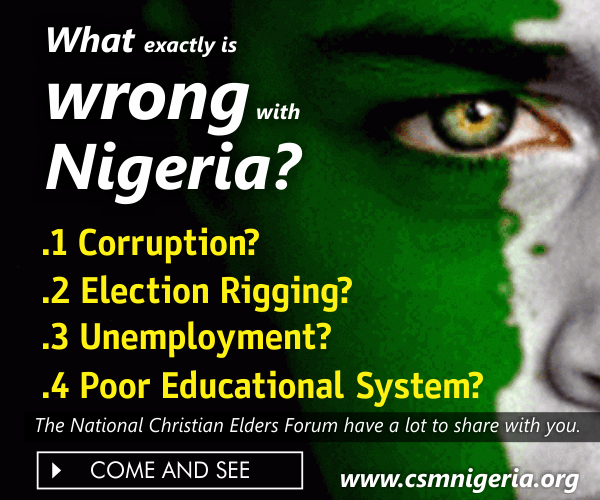 Without belaboring these issues, we wish to draw the attention of the Nigerian Supreme Council of Islamic Affairs to the recent Press Release of the National Christian Elders Forum (NCEF). To date, leaders of Islam are yet to respond to salient issues raised in the Press Release. 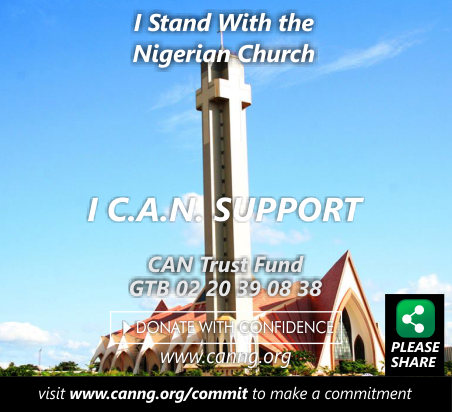 We believe that this ought to be done first, before CAN is alleged to promote Christianization or is Islamophobic. As a reminder, we re-produce below relevant excerpts in the Press Release while we await cogent clarification from NSCIA. We hope that leaders of Islam in Nigeria shall respond to the issues above before seeking to label CAN with Islamophobia.